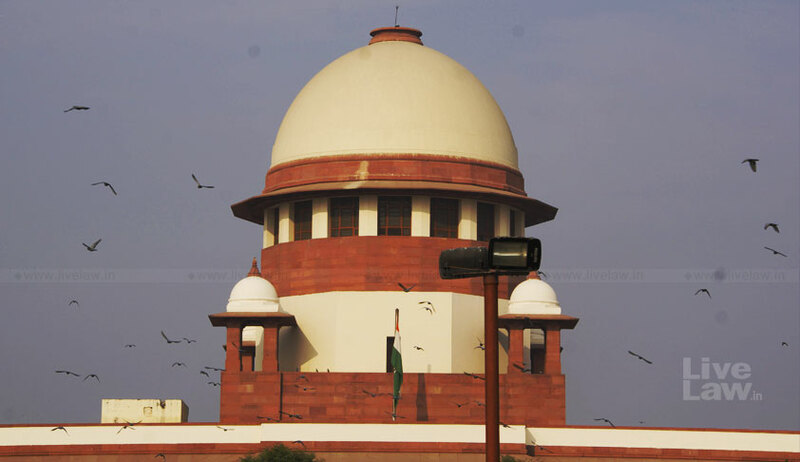 The Supreme Court has allowed AIIMS to discharge an infant born with congenital heart defects after noting that the child is fit for discharge, having been cured of pneumonia and with the parents yet to give consent for complex heart surgery, while directing the hospital that whenever the parents decide to consult a cardiac surgeon upon a referral from OPD, the same shall be done with “due sensitivity”. A bench of Chief Justice Dipak Misra, Justice AM Khanwilkar and Justice D Chandrachud said so while disposing of the Special Leave Petition preferred by the father of the infant. Vijay’s infant son suffers from a congenital cardiac condition in which one of two pumping chambers of the heart is not formed and one of the major valves is leaking. According to doctors at AIIMS, despite multiple high-risk surgeries, the condition is not curable and survival is limited. The court allowed AIIMS to discharge the infant as it was of the view that the child is at the risk of acquired infection in the hospital due to his heart condition and keeping him there is no use as parents have not yet given consent for multiple surgeries. “Till now, the parents have not given consent for surgery. At present, since the child is free from chest infection, he can be subjected to the first stage of surgery, i.e., banding of pulmonary artery if the parents are willing for this high-risk surgery. However, if the parents are not willing for surgery at present, the child can be discharged from the ward for the time being as there is a risk of hospital-acquired infection,” said the bench. “…we permit AIIMS to discharge the infant and if the parents decide to consult a cardiac surgeon upon a referral from the OPD of AIIMS, the same shall be duly done with all sensitivity. If surgery is suggested, the needful be done in that behalf with promptitude by the team of doctors at AIIMS, subject to the consent of the parents,” it ordered. Vijay Kumar had moved the apex court in a challenge to an order passed by the Delhi High Court on March 14 wherein AIIMS had been permitted to discharge the infant in view of the assessment of the treating doctors. Vijay’s counsel Dipak Khosla had argued that the report of the medical board relied upon by the court is biased but the high court had rejected the contention saying the child has been examined and treated by senior-most experienced doctors. Vijay apprehended grave danger to life of his son born on January 25. His son had been diagnosed with severe pneumonia and atrial septal defect. Max Hospital in Patparganj refused to provide treatment saying they do not have the requisite medical infrastructure. On March 4, the infant was admitted to AIIMS emergency ward but was denied treatment and had to be again moved, this time to Safdarjung Hospital. With Safdarjung Hospital also unable to treat the heart ailment and only providing treatment for pneumonia, Vijay moved high court seeking urgent medical care for his son. On March 5, the infant, through his father Vijay Kumar, mentioned the plight of the family before the high court which took up the matter and ordered the same be registered as a writ petition in public interest. The high court directed AIIMS to examine Vijay’s son and provide him all necessary treatment and directed that its message be conveyed to the Medical Superintendent, Safdarjung Hospital and Medical Superintendent, AIIMS by e-mail, fax as well as Special Messenger. Pursuant to the court’s order, the child was admitted in Paediatric Ward, AIIMS on March 6 and treated for his chest infection under the care of head of the Department of Paediatric Cardiology. When the matter came up for another hearing on March 12, AIIMS informed the bench that the baby has been treated for pneumonia. The court then called for a medical opinion regarding the medical condition of the infant. The matter came up next on March 14 when the court was handed over a medical report stating that the child was fit for discharge. The court was also informed that the treatment for the heart disease is to be finalised on OPD basis after counselling with the family as the heart disease is complex and is not fully curable. AIIMS said while the mother has been counselled with regard to the treatment of the child, the father has not been available to discuss treatment options. “In view of the assessment by the treating doctors that the child was fit for discharge since 11th March, 2018, it would not be appropriate to continue to keep the child in AIIMS. The child be therefore discharged after fully explaining the treatment as well as the further course of action which has to follow,” the bench ordered on March 14 while also directing that the child be produced before the doctors concerned in the OPD for evaluation and further treatment of heart disease. The matter is now listed before the high court on April 9. It was in challenge to the high court order of March 14 that Vijay moved Supreme Court by way of an SLP. The apex court was also informed that the child has been treated for pneumonia and is fit for discharge since parents have not given consent for heart surgeries which are usually planned after detailed discussion with the parents. “Till now, the parents have not given consent for surgery. At present, since the child is free from chest infection, he can be subjected to the first stage of surgery, i.e., banding of pulmonary artery if the parents are willing for this high risk surgery. However, if the parents are not willing for surgery at present, the child can be discharged from the ward for the time being as there is a risk of hospital-acquired infection. However the parents should realize that prognosis of the child without surgery is also grim. In future, whenever the parents are willing for this high risk surgery, they can attend the outpatient department from where they will be referred to the cardiac surgeon. Be it made clear, thereafter the Board consisting of four doctors has also concurred with the said opinion. There is no reason to doubt the report and accordingly we accept the same,” the apex court said. It allowed AIIMS to discharge the child but treat his case with due sensitivity whenever the parents decide to consult a cardiac surgeon upon a referral from the OPD.